Turkey’s justice minister has pulled out of a scheduled visit to Germany, after a small town in Baden-Wurttemberg denied him the chance to canvass his countrymen ahead of a controversial referendum. Ankara has also summoned the German ambassador. Bekir Bozdag was due to give a speech in the southwestern town of Gaggenau on Thursday in favor of a ‘Yes’ vote in the April referendum that will ask Turks if they want to massively expand the powers of President Recep Tayyip Erdogan. 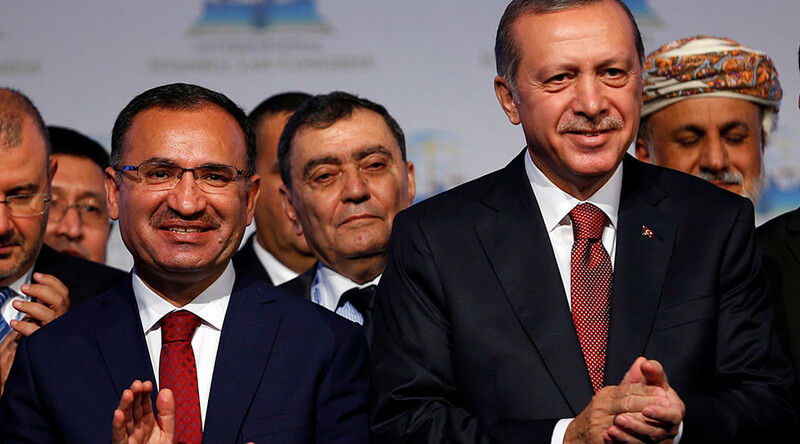 But just hours before the event - organized by the Union of European Turkish Democrats (UETD), a group close to Erdogan, was due to get underway - Gaggenau withdrew the permit, citing security concerns. It also listed concerns over potential overflows inside its town hall and the parking lot outside. "Anti-democratic approaches, such as the annulment of my address using the parking space size as an excuse is unacceptable," Bozdag told the media in Strasbourg, where he was on another diplomatic engagement. "I have canceled my meeting with the German justice minister after this development, and will return to Turkey." In the wake of Gaggenau’s decision, Cologne canceled another UETD event, where economy minister Nihat Zeybekci was due to speak, saying the city was unable to guarantee participant safety at short notice. "It is unacceptable that German authorities, who constantly lecture us about human rights, democracy, rule of law, free speech do not tolerate a meeting organized by the Turkish community," said Bozdag. The repercussions of the spat, one of dozens between the two countries over the past several years, were felt back in Ankara. "Our discomfort and our reaction to these developments have been communicated in person to the German ambassador who was summoned this evening to the foreign ministry," an unnamed diplomat told AFP. According to the Federal Office for Migration and Refugees, just under 3 million Turks, over 1.4 million of whom are entitled to vote in the referendum, reside in Germany, making it a logical pit stop on the campaign tour ahead of what is predicted to be a very tight vote. But German politicians from across the spectrum have openly opposed campaigning in their country, and not only because many of them say that if the 'Yes' goes through, it will turn Turkey into a one-man authoritarian regime. 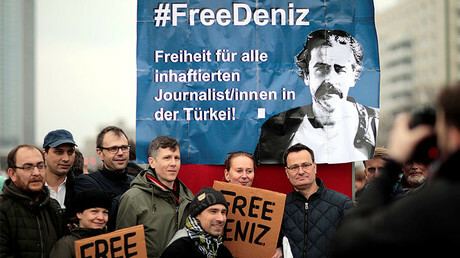 Last week, Deniz Yucel, a German-Turkish journalist who reports for Die Welt, was arrested and charged with terrorist links and incitement to violence. Yucel had previously reported on hacked emails sent by Erdogan’s son-in-law and had also extensively covered the separatist Kurdish organization PKK, which is considered a terrorist organization in Turkey. “If the Turkish Justice Minister takes time for a Germany visit, it would make more sense to discuss with us, the German officials, the issues of human rights and the rule of law,” Guido Wolf, Justice Minister for the state of Baden Wuertemmberg, said ahead of Bozdag’s planned visit. Following the cancellation the of rallies, the German Foreign Minister Sigmar Gabriel said Ankara must make its own effort to smooth the growing diplomatic rift, before expecting help from Berlin. "We made clear to the ambassador again today that when guests come from Turkey to Germany, we expect them to not only attend campaign rallies but to be ready for dialogue with the justice minister or economy minister or foreign minister or whomever," Gabriel said. "We must solve this problem as soon as possible; the damage that currently exists is extraordinarily large." Yucel is one of over 120 media workers believed to be held in custody in Turkey as a result of their work, according to the European Federation of Journalists. In total, about 40,000 people have been arrested, and 125,000 fired following a failed armed coup, designed to topple Erdogan, in July last year.